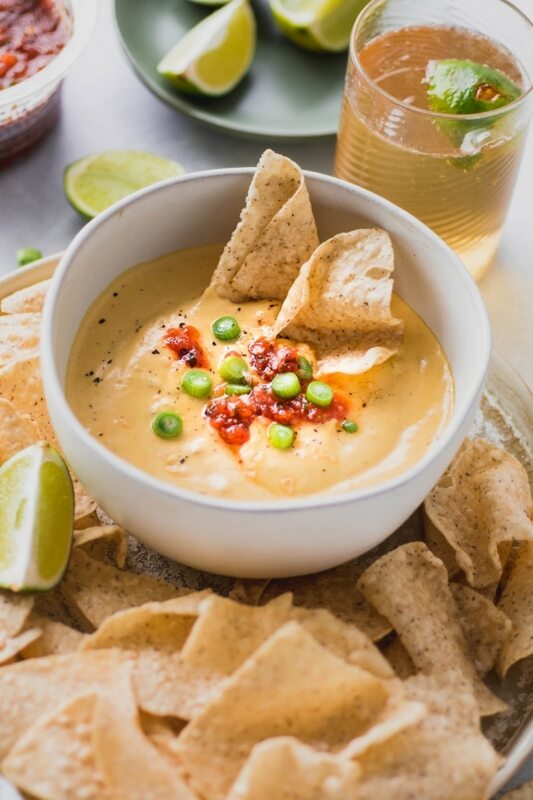 This creamy cashew queso dip is made with a few simple plant based ingredients in your high speed blender. 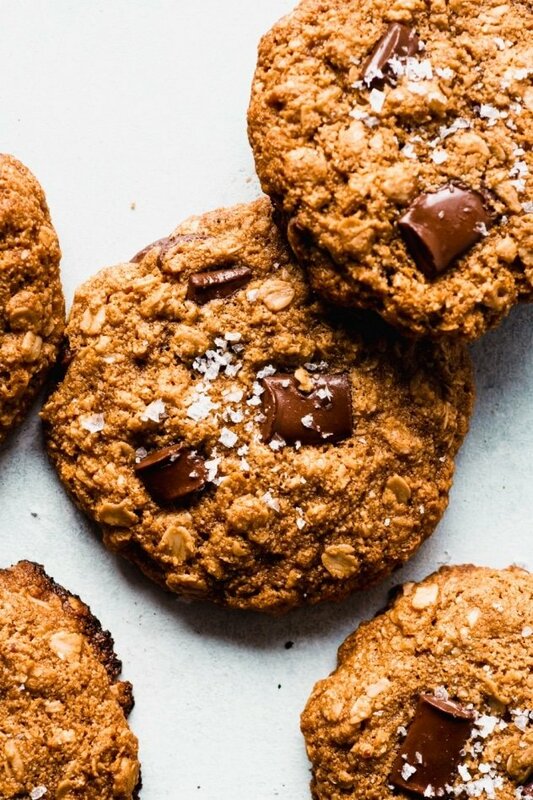 Seriously simple and seriously delicious. Raw cashews – This is the main ingredient in the recipe. 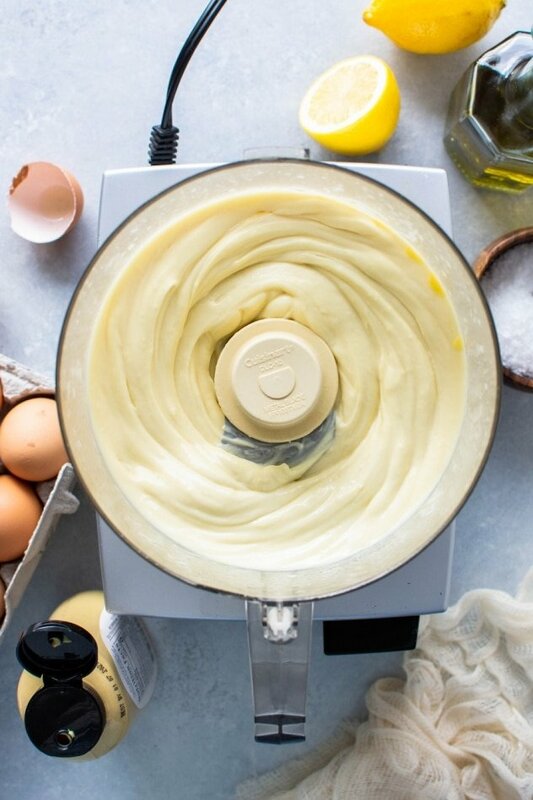 When blended, soaked raw cashews turn into the dreamiest creamiest sauce that provides the perfect base for a recipe like this. The raw part is really important. 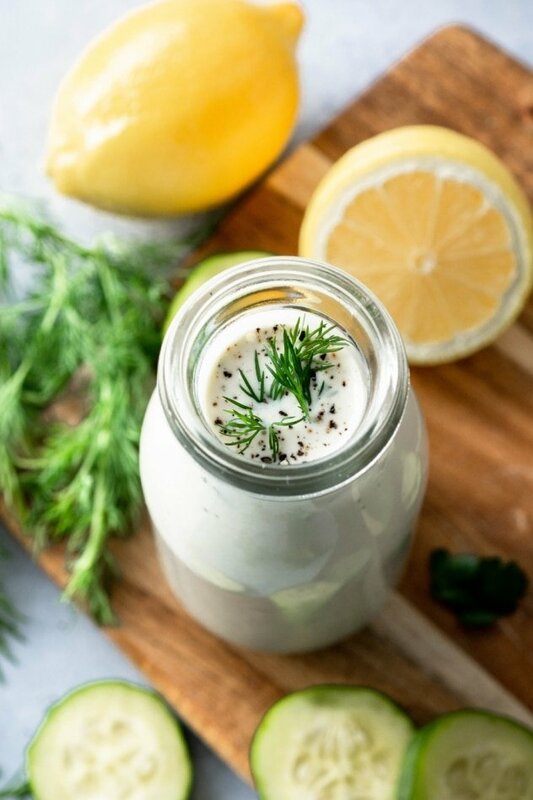 Raw cashews surrender into a smooth sauce when blended much more easily than roasted cashews. If you only have roasted cashews on hand you CAN use them but you may want to let them soak a little bit longer before blending – also the final dip may not be quite as creamy and smooth. 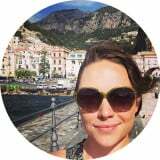 Mustard (both dry from your spice cabinet and dijon mustard work) – This ingredient sounds a bit unexpected, but since there is no actual cheese in this dip you need some serious flavor boosters to get the right flavor profile. Mustard helps aid in the “cheesy” vibe that we’re going for. Lime juice – For some bright zip and zing. Chili powder – Just a little to amp up the cheesy-mexican flavor. 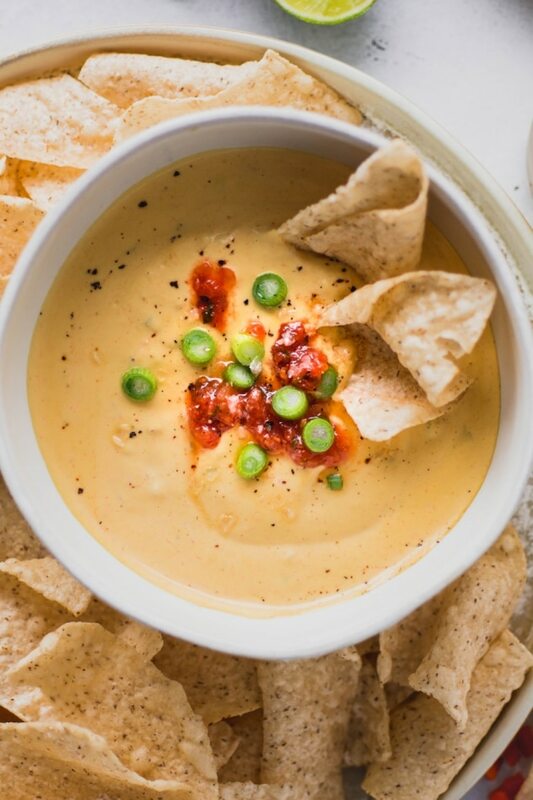 Nutritional yeast – This is where most of the “cheesy” flavor REALLY comes from in this queso dip. Commonly used in a lot of vegan recipes for it’s flavor boosting super powers. Nutritional yeast has a savory, nutty, and definitely “cheesy” flavor profile. 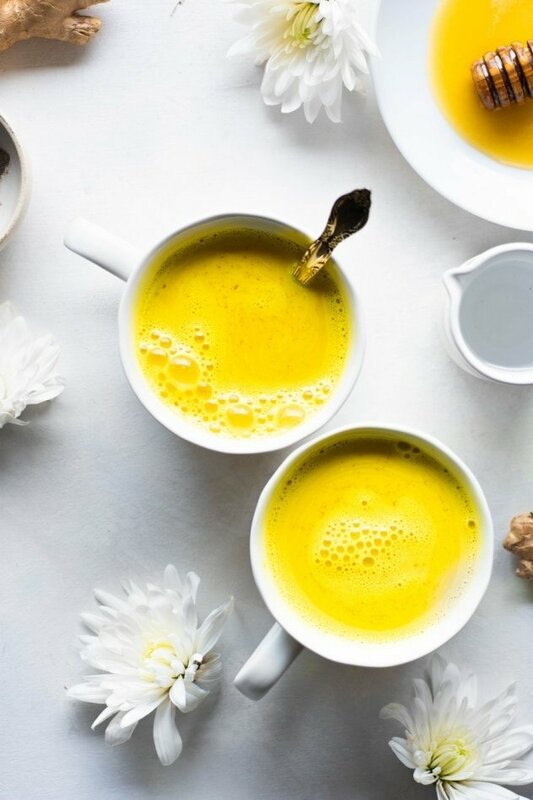 Turmeric – Mostly just for color, so you could always leave it out if you don’t already have it on hand, but it does also add a little anti-inflammatory action to the mix! Hot sauce – You can use your favorite hot sauce, or skip it all together if you don’t want much heat in your queso. It does also help brighten up the flavor and add an extra layer of ZIP to the dip. Your favorite salsa – Spicy, mild, or somewhere in between. This is the one ingredient that isn’t blended in with the actual dip, just stirred in at the end for some extra texture and flavor. 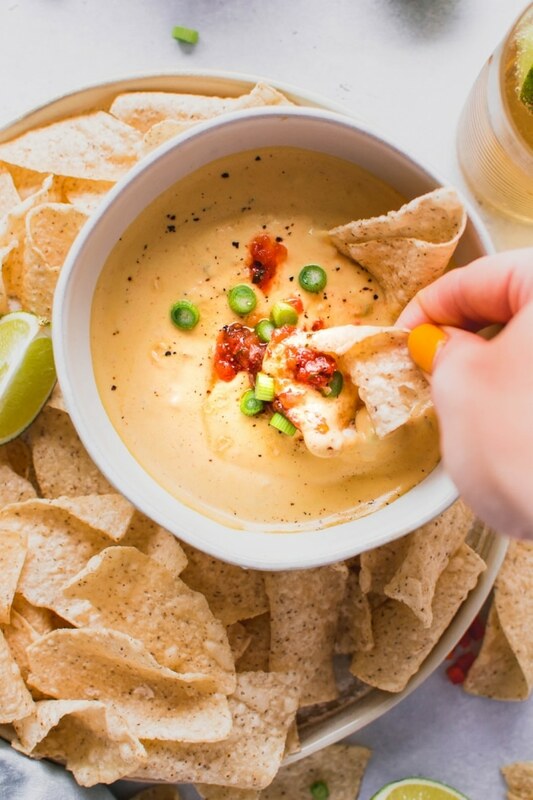 You can skip it if you don’t have any on hand, but it really takes the queso to the next level! Thinly sliced green onions – for garnish! Because they’re pretty and also add some nice green bite. 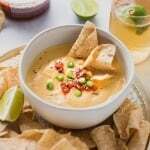 Is this creamy cashew queso dip healthy? Yes! 100% healthy. 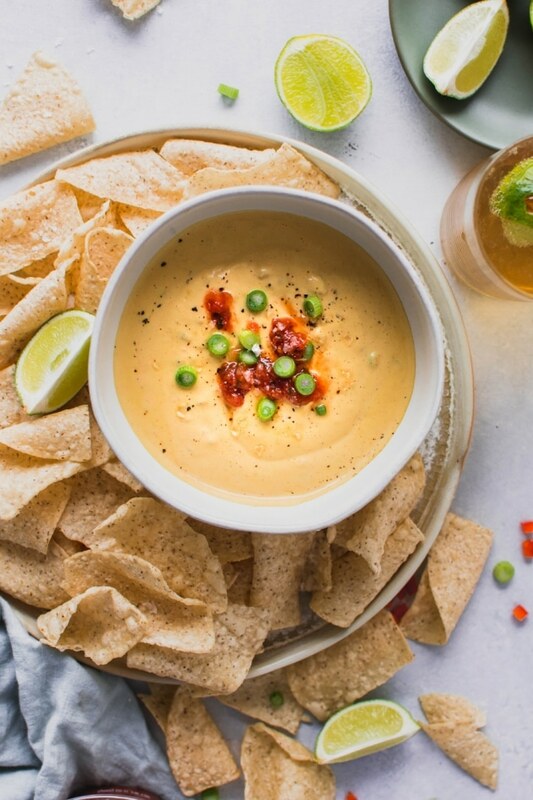 Made with no dairy and no processed ingredients, this creamy cashew queso dip is a delicious anti-inflammatory alternative to a traditional mexican cheese dip. It’s gluten free, grain free, vegan, paleo, and whole30 friendly! A total crowd pleaser. 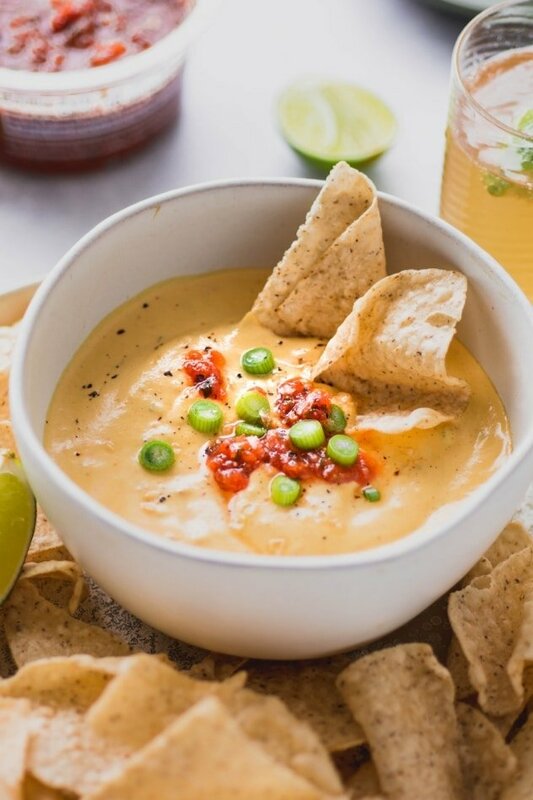 This queso is so easy to make. The only planning you need to do in advance is to soak your cashews for at least an hour before starting. Everything except the salsa and green onions gets thrown into the blender and blended on high until smooth and creamy. Stir in a little bit of your favorite salsa, warm it up a bit if you like, top with green onions, and get DIPPING! 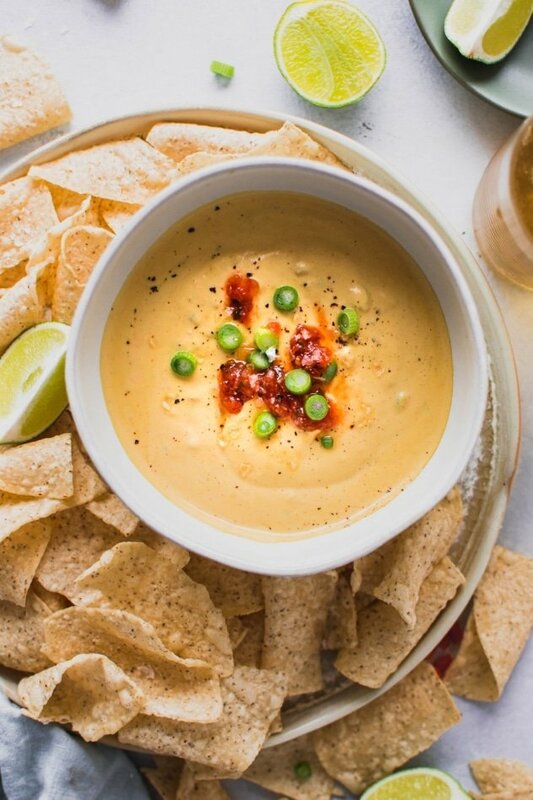 You can serve this creamy cashew queso dip with your favorite chips (I always reach for a bag of Siete Foods grain free tortilla chips for a health supporting option that also tastes so amazing! ), cut veggies, or even alongside your favorite tacos! Enjoy friends – let’s get dipping!